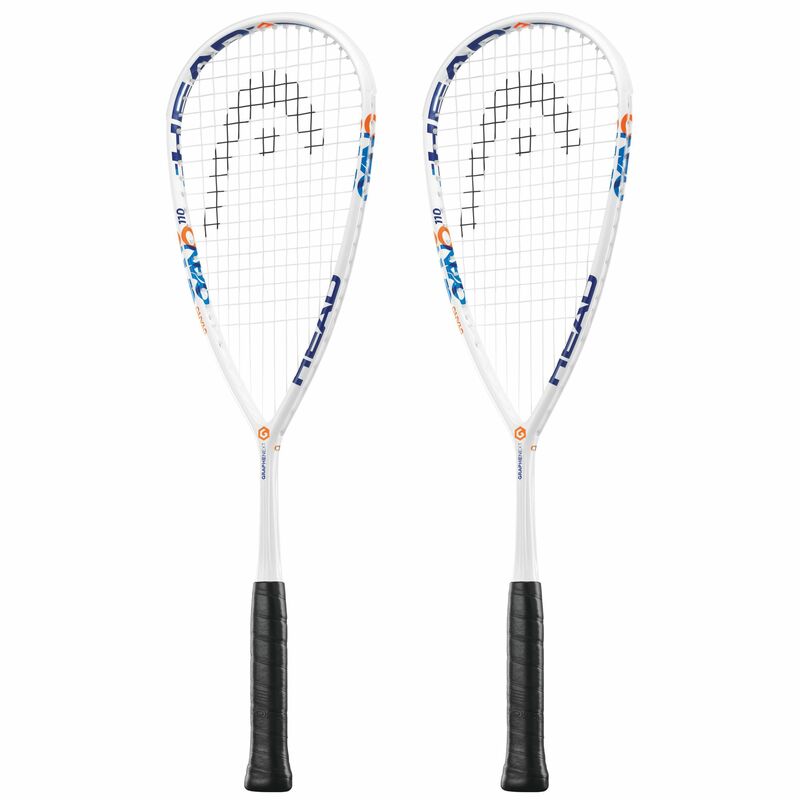 This double pack gives you two Head Graphene XT Cyano 110 squash rackets which are designed for players who prefer powerful shots and like a light frame. As the name suggests, the Cyano 110 racquet weighs just 110g (3.9oz) and features Graphene XT technology – using the lightest material in the world to improve weight distribution, swing speed and power. 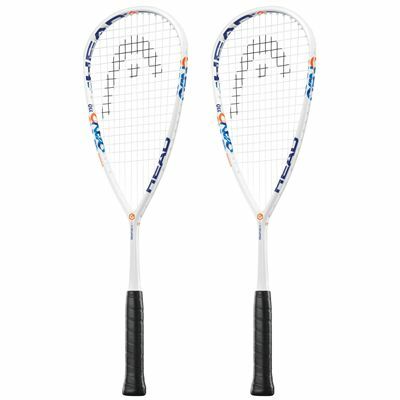 These rackets are very manoeuvrable but also have a head heavy balance and a generous 77.5in2 (500cm2) head so there is no let-up in the potential for power. Both racquets comes strung with an Evolution Pro string in a 12x17 pattern and are supplied with full protective covers. for submitting product review about Head Graphene XT Cyano 110 Squash Racket Double Pack.